Nukes are all the rage these days. The US and Russia just trashed the IRBM or intermediate range ballistic missile treaty inked by Reagan and Gorbachev back in the good old days. But wait, there's more. A Russian diplomat warns that the New Start treaty signed by Obama and then Russian president Medvedev is also in peril. ...Ryabkov expressed particular worry about U.S. plans to produce new, low-yield nuclear weapons, warning that it could dramatically lower the threshold for their use. In what might be a first, Russia, the United States and France yesterday launched nuclear capable missiles within hours of each other. But wait, there's more. Not to be left out, China is making nuke news of its own. The South China Morning Post reports that, after 55 years, China is mulling over its "no first use" policy on nuclear weapons. According to Zhao Tong, a fellow in Carnegie’s Nuclear Policy Programme, based at the Carnegie–Tsinghua Centre for Global Policy, the US and its allies are stepping up their anti-submarine warfare in the South China Sea and the Indian Ocean. 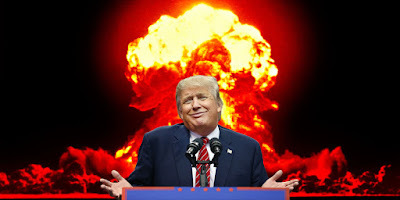 In a report late last year, Zhao said this was increasing mistrust between the two countries and raising the possibility that Beijing might rethink the “no first use” nuclear weapons policy, which has been in place since the first Chinese nuclear test in 1964. In a separate report, the Washington-based US-China Economic and Security Review Commission said Beijing was looking at expanding its nuclear delivery systems, setting off debate in China over whether its nuclear arms should be used only as a deterrent and not as a “first strike”. But wait, there's more. Satellite images have come out in the press lately of a ballistic missile factory in the desert near Riyadh in Saudi Arabia. The Saudis, it seems, want a missile capability similar to Iran's. That's the almost good news. The bad news is who is apparently giving the Saudis a hand - Pakistan and China. 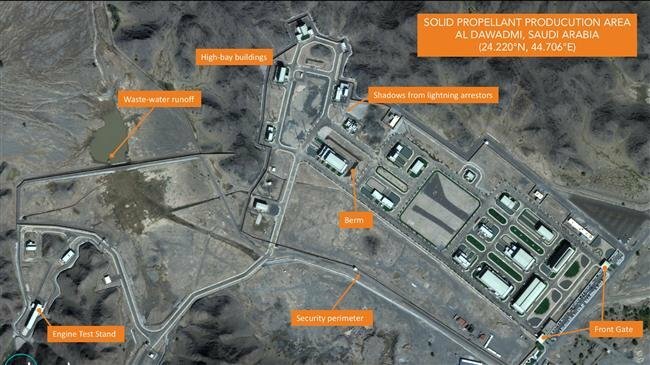 US defence experts told CNBC that the development indicates a growing desire by Riyadh, Washington’s longtime ally, to take offensive measures without the approval of its main weapons sponsor. Pakistan conducted its first nuclear bomb test in 1998. India now believes Pakistan has amassed upwards of 140 nuclear warheads. At one point, early in its nuclear history, Pakistan's Ali Bhutto referred to his country's device as the "Islamic Bomb." That was interpreted as imbuing the weapon with a pan-Muslim (Sunni, that is) connotation. And, in fairness, the father of Pakistan's bomb, Abdul Khan, who stole most of the secret technology while working in Europe, was involved in helping Qaddafi's Libya with its own nuke programme. Well, I could go on but I think that's enough nuke news for one day. Such a fine looking angle. Anyong. Today is Friday.. when possible I spend the entire day in a public library.. will I slip into a military mood ? Or look at historical photos ? Collected imagery of nature ? There is something special about spreading open a book that is almost 4 feet wide when opened with captioned glossy images. West Coast indigenous art is one of my faves.. might be just the ticket ! This week has made my skin crawl a bit, Sal. I wrote an earlier piece on why IRBMs, intermediate/short range ballistic missiles are so problematic. Then the talk about scrapping New Start, China re-evaluating "no first strike," Saudi Arabia's ballistic missile plant and testing range, and Trump's plan to develop a whole new range of tactical nuclear weapons. That's a full plate. In my day, which was the tac nuke era, we used to take the piss out of Anita Bryant and call them "those little bags of instant sunshine."